Professional installation and results. From big jobs to modest jobs. All types of wall problems completed quick. Helpful and very veteran staff. Get a no-cost quote. Very easy to work with. You will like the way it turns out. Is there a remodeling project going on at your home? Need someone to put up sheetrock? Maybe you have a ceiling or wall that needs a hole patched or needs to be refinished. 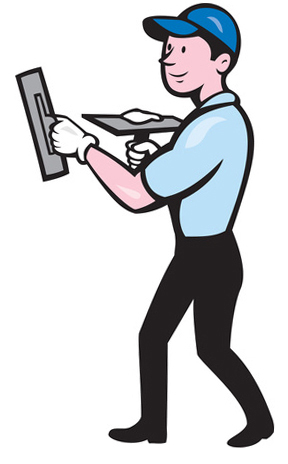 Their specialty is installing and fixing walls and ceilings in homes and other buildings. If you have a big installation job, they can do that for you. They can also carry out repairs, of any size. On a regular maintenance project, they will patch areas that can be patched. Other areas may have to be removed and replaced. And they work on residential, commercial and industrial properties southwest of Ontario. 1. Truck the gypsum drywall sheets to the work place. 2. Install (or hang) the sheets to the walls and ceiling. 3. Clear up and remove trash and unneeded material. 4. Tape the joint seams between sheets and apply joint compound to each joint and screw head. You could begin painting after step five is completed. If you want them to carry out just a few of the activities, instead of completing the entire job, they will do that. For instance, if you’re only interested in having someone bring the sheetrock to your place (because you want to do the rest of the job), they can take care of that for you. Some people want to put the sheets up by themselves, they just want them to come out later and complete the taping, mudding and finish steps. And they can put in specialty moisture-proof fiberglass-based boards in bath areas, or backer board solutions such as cement board on walls where you want to affix tile. They’re flexible with the work they can do on your project and your schedule. Accidents happen at homes all the time. A hole can get put into sheetrock during Friday night parties, a Sunday afternoon football game, or by teenagers pretty much anytime. If the holes in your walls or ceiling are pretty small, you may want to attempt to fix them by yourself first. Small holes are treated with a patch and joint compound kit. Most homeowner applied patches will not look awesome. Wall patches usually take some practice to figure out how to do them right. While you might certainly try small repairs, we suggest having a pro come over and handle the bigger repair projects or correct wall or ceiling patch repairs which are in the main, public places of your house. The end phase of the repair operation is to match the finish and texture of the new work so that it will match the present finishes after it is painted. Fixing one or two individual holes or dents. Mending a few bad panels so related areas or room can get painted. Getting rid of and replacing pieces of sheetrock damaged by water or something else. Doing the elimination and replacement of a whole area or room. Often due to a water disaster or other event. No matter what scale your maintenance project is, they’re interested in helping. In the last stage of finishing, they will provide your surfaces with whatever finish you like. Simply unfinished surface – just taped, suitable for unfinished work spaces or garages. Smooth finish – zero extra texture, in position for paint or wallpaper. Simple texture – gives you a little bit more depth. Greater texture – requires additional troweling and is more tricky to do. Texture match – make your replacement surfaces match up with your original ones. Putting that popcorn ceiling texture on a house’s ceiling was a favorite option some years back. Right now, not so much. They could get rid of it for you and change it. And without too much of a mess too. 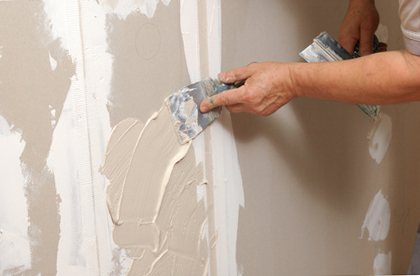 They are a seasoned dry wall and ceiling repair and replacement contractor. If they end up working for you, they do their very best so you appreciate the results and the entire work process. They’ve got the best equipment and tools to finish any project safely and quickly. And all the materials they install at your house are dependable and durable. Most renovations and wall repairs generate a bit of a mess. They do everything they can to maintain the dust and dirt they create isolated into a single area only. When the project is completed, they take away all the trash and all the unneeded material. They work on a selection of renovation jobs from high-priced custom residences to basic repair tasks and multiple family or commercial buildings. And along with the number of activities they can do, they can also work with anyone, from a typical homeowner to a commercial property manager. They will be happy to include an estimate. The cost of the project will be determined by a few different factors, but it is usually related to the amount of time and materials they need to invest to get the activity accomplished. Even if you are not sure exactly what you need, they look forward to talking to you to learn more. It you decide you want them to take care of the painting, they make sure that it gets done. A number of homeowners care to do their own painting. Just let them know which route you want to go. They do lots of jobs south of Pomona and Ontario in areas such as Prada Regional Park, Chino Town Square, Ruben Ayala Park, Shoppes at Chino Hills, Chino Hills, Spectrum Towne Center, Chino Airport and Ruben Ayala High School. They do lots of jobs south of Ontario and Pomona in areas such as Prada Park, Chino Town Square, Ruben Ayala Park, The Shoppes, Spectrum Towne Center, the Airport and Ruben Ayala High School.